As well as getting our domestic tax system into shape (see below), the UK also needs to position itself as an open, internationally competitive economy. But that needs a lot more than just lowering our corporation tax rate; it needs a whole shift of attitude. The government needs to stop viewing business as valuable only for the taxes that it pays. A more mutual attitude to our international partners and regaining our lost respect for the rule of law are important ways to show our openness to the world. To take advantage of Brexit, the UK needs to recreate itself as a dynamic economy. Tax policy plays an important role in that, but was George Osborne's plan for a corporation tax cut imaginative enough, or are there bigger issues that need to be tackled? This blog post for the Institute for Economic Affairs looks at a few proposals that could help lay the foundations for post-Brexit prosperity. ﻿Brexit gives the UK a greater choice about its tax policy - but which way will we go? The EU has had a huge influence on the UK’s tax agenda; sometimes for the good, often not. But as that influence ends, I have started to look at how things might change. It would be a great pity if this opportunity ended up with our tax system being used to effectively close our borders and shut out foreign competition. Hopefully we will see a better-designed tax system, more open to investment and new business, more internationalist. Oxfam, the billion-dollar charity conglomerate, has published proposals that it claims are designed to solve the problem of poverty, but will actually make matters even worse for the poor. The biggest anti-poverty drive ever has been the growth in international trade and investment, which has lifted a billion people out of abject poverty over the last twenty years. But Oxfam's campaign, which seems more concerned with reducing inequality rather than ending poverty, puts this at risk by proposing tax reforms that, by reducing investment into developing countries, will harm the world's poorest by denying them opportunity. Oxfam, along with other charities, has been using elaborate structures and dubious transfer pricing techniques to reduce their own tax bills and to claim back millions in tax refunds. Of course I don't think there is anything wrong in tax planning, and I admire the technical ingenuity of some of their schemes. The campaigners and economists who signed up to the latest campaign against offshore finance are wrong; international finance centres do serve a "useful economic purpose". For those of us who live in the real world, offshore finance centres do have a real and beneficial role to play, particularly for developing nations and funding the adaptation of new technologies. If a media storm of innuendo and smear, whipped up by campaigners in the wealthy, comfortable West, is allowed to shut off access to global finance, the world will be poorer for it. 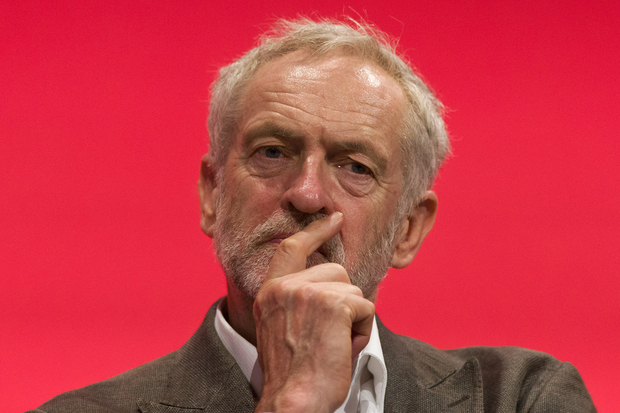 What would Prime Minister Corbyn mean for offshore finance centres? The Leader of the Opposition in the UK wants a £120 billion tax squeeze on the "wealthy". He thinks taxes should go up, that more people should be "fortunate" to pay higher rate tax and that his predecessors were "too close to economic orthodoxy" (too close to reality?). But then he also finds Marx "absolutely fascinating" and "looks forward to the day" when an asteroid wipes out humanity. Not surprising then that he wants to "chase down tax havens" and classifies the three "key challenges" for the UK as "climate change, terrorism and tax havens". He has already beaten 100:1 odds to become party leader; could he be our next Prime Minister? If he does, what will this mean for global finance? Will the opportunities offered by a tidal wave of cash fleeing the UK be enough to offset the threat of his attempt to close down offshore centres?